Controversy over 2020 brings attention to “First Wave” or “suffrage movement,” plus “suff buff” update! 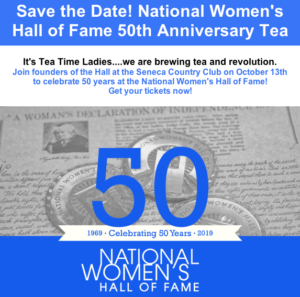 CONTROVERSY—on the Six O’Clock Program of Suffrage Wagon News Channel! on Vimeo. Suffrage Wagon News Channel has been publishing since 2009. Back then, when I mentioned the first wave of the women’s rights movement in the US to others, I was met with stares, yawns, and eyes glazed over. This is still true, but the situation is changing substantially as this video suggests. Back in 2009, it was a breath of fresh air for Nate Levin to message me about the first wave, or the “suffrage movement” as it is also known. When Nate was young, he heard from his mother about Carrie Chapman Catt at home—the votes for women organizer, mover and shaker, founder of the League of Women Voters. Nate Levin calls the suffrage movement long and complex. His interest in the topic led to him creating a Facebook page, Suffrage Buffs of America, and writing a book about Carrie Chapman Catt that’s free on Google Books. Recently I visited Suffrage Buffs of America and smiled when seeing a photo of the “Spirit of 1776” wagon used by my grandmother Edna Kearns in 1913 in New York City and on Long Island. Compared to 2009 when SuffrageWagon.org started published, the internet is now loaded with news, views, and announcements of 2020 celebrations. 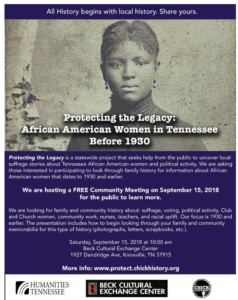 For example, there’s work underway in Tennessee to bring the stories of African American suffrage activists into the light. 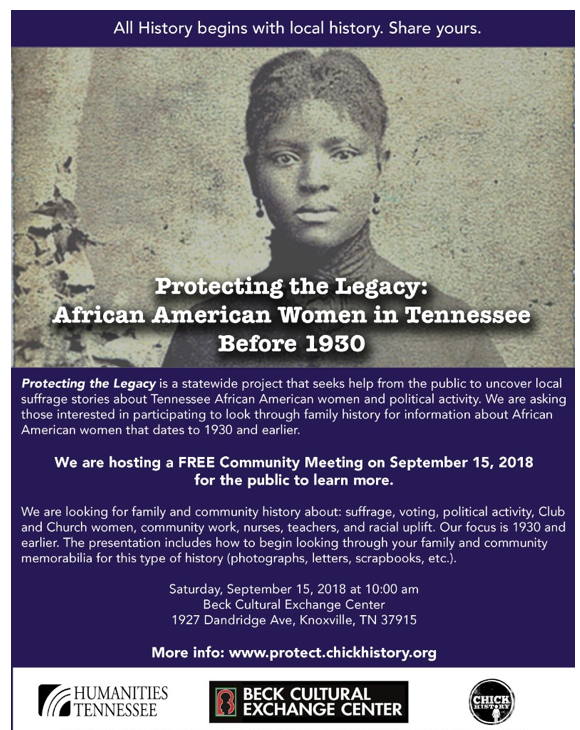 It’s in Knoxville, TN on September 15, 2018 at the Beck Cultural Center. Let’s make 2020, the suffrage centennial, a blast! Get busy planning NOW! 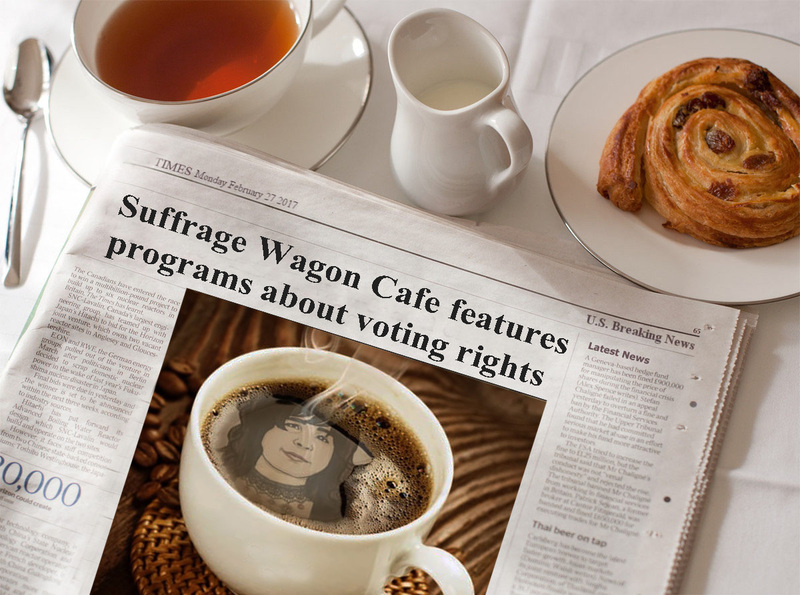 Suffrage Wagon Cafe—First woman reporter on the moon!